Not a single mainstream media outlet has covered this appalling new report that shows millions of people being poisoned by a chemical that does not belong in our food. This chemical is ending up in processed foods like Cheerios, Ritz Crackers, and Oreos and being consumed by humans across the world. 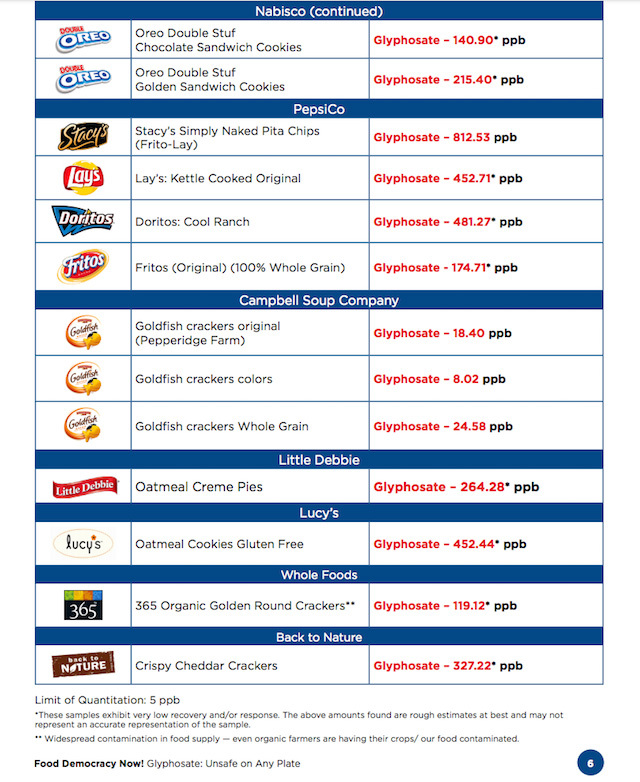 A FDA-registered food safety laboratory tested iconic American food for residues of the weed-killer glyphosate (Monsanto's Roundup) and found ALARMING amounts. - Independent research links glyphosate to cancer (1, 2, 3, 4, 5) and it has been deemed a probable human carcinogen by the World Health Organization’s team of international cancer experts. - Research also indicates that glyphosate is an endocrine disruptor, which disrupts hormones and leads to reproductive problems, early onset puberty, obesity, diabetes, and some cancers. - It binds with vital nutrients in the soil (like iron, calcium, manganese, zinc) and prevents plants for taking them up. 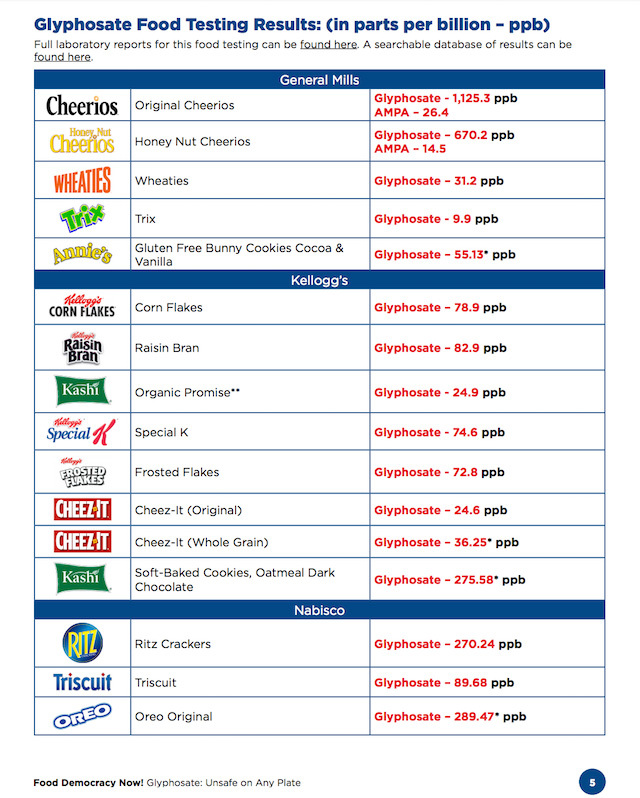 Glyphosate is thereby making food less nutritious. The best way to avoid glyphosate is by choosing certified organic foods because it is prohibited on organic crops. Although contamination is a real threat, the levels on organic foods are minimal compared to what’s been found on conventional foods. It’s been shown that people who eat organic foods have less glyphosate and other synthetic pesticides in their system. Re: Monsanto Is Scrambling To Bury This Breaking Story – Don't Let This Go Unshared! Don't eat any of that, stick to [email=Bacon@Egg]Bacon@Egg[/email] sandwiches. @nicko wrote: Don't eat any of that, stick to [email=Bacon@Egg]Bacon@Egg[/email] sandwiches.